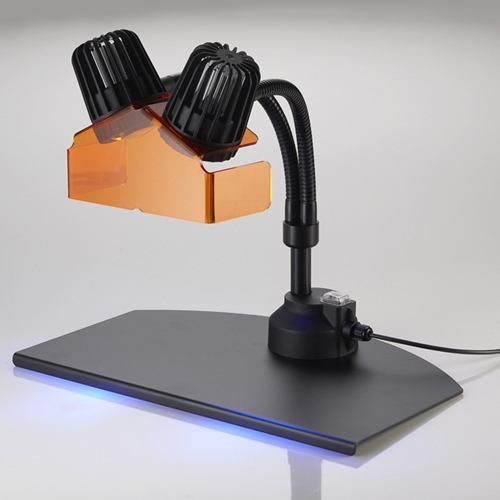 The COLORiT Curing Light is included in both the small and large COLORiT Sets and is also sold separately. These lights are not standard dental lights but cover a much broader range of the UV spectrum. (Standard dental lights may cure some colors but will not cure all COLORiT colors.) The Curing Light is ideal for custom work, cures one item at a time. For more information on COLORiT, see "Related Products" below.